This post contains affiliate links. I only post about products and brands that I truly love. As Summer is in full-force, I started to notice my makeup and skin changing more throughout the day with the hotter weather. 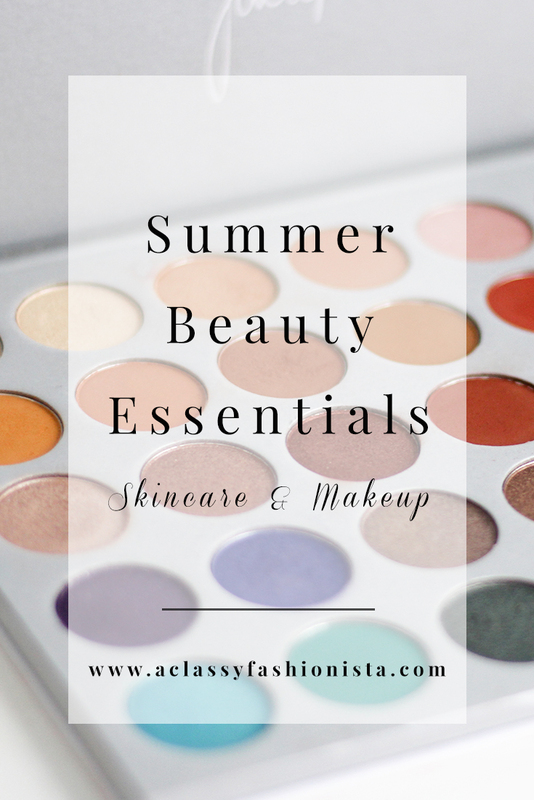 I decided it was time to round up all of my beauty essentials for the Summertime and share them with my favorite peeps. I'm sharing everything from skincare to lips. 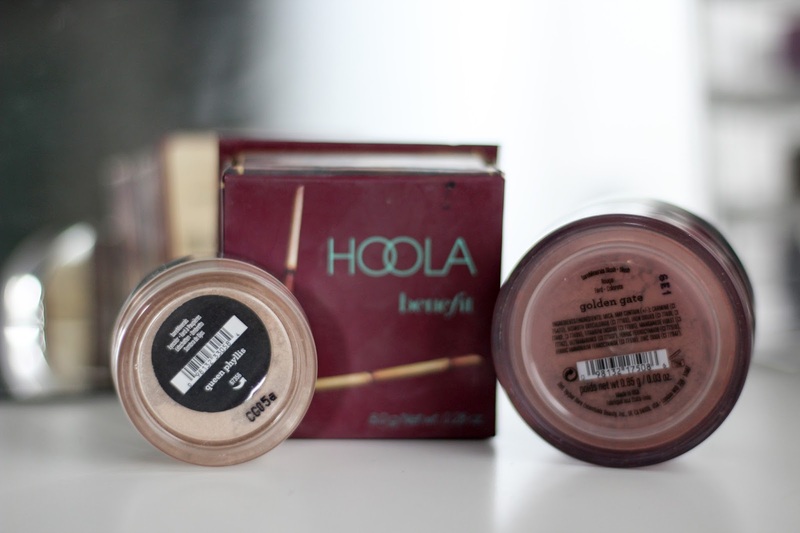 Some are drugstore brands and some prestige brands, so there is something for every budget! 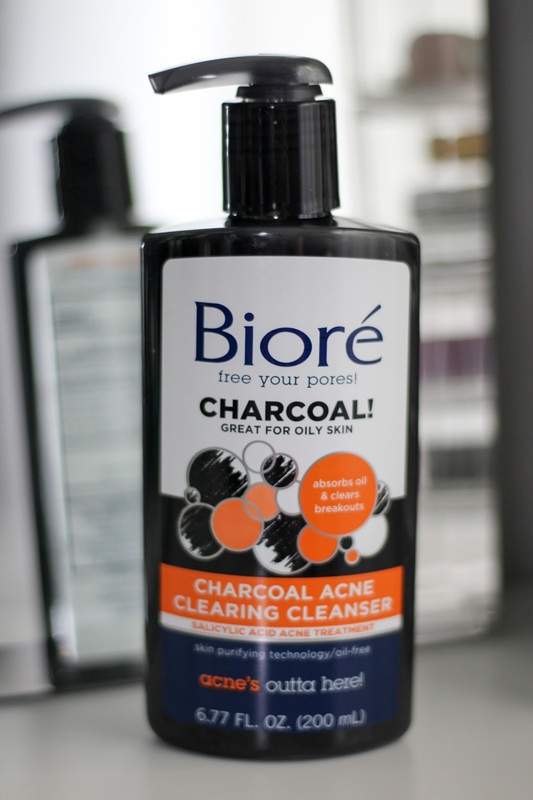 This charcoal cleanser has been a game changer! I even have Chris addicted to it. If you've been following my blog for a few months, then you've heard me rant about my horrible breakouts I had at the end of last year and beginning of this year. Well, ever since I added this cleanser into my daily skincare routine, I haven't had any major breakouts. PTL! I first tried this exfoliator in-store on my hand and it grossed me out so much that I couldn't wait to get it home! Okay so hear me out. It literally takes off your dead skin!! You can feel it working as you are rubbing it on your face. It leaves your skin feeling baby soft, removing any dirt, oil, dead skin, and makeup residue. It's also gentle enough to use daily or every other day depending on your skin's sensitivity. I used to use this back in high school, and I just recently repurchased it and I fell in love with it all over again. 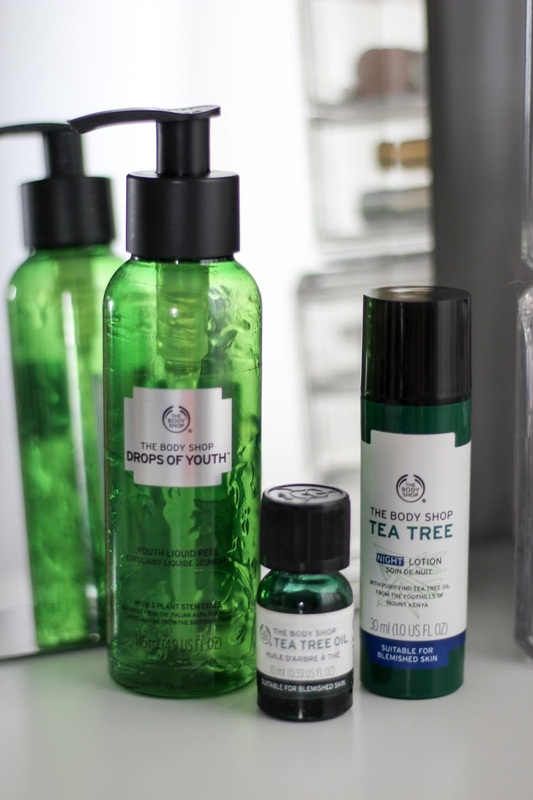 It's perfect for the Summertime as it helps tackle excess oil, but it also takes out those pesky breakouts leaving you with healthier looking skin. I've gone through several bottles of this oil. I apply it directly to my acne scarring and in just a few uses, you can already start to notice it fade your scars. In April my skin started to clear up a bit, but now, three months later, I just have slight scarring and need way less makeup coverage. This Make Up Forever primer comes in so many different varieties. 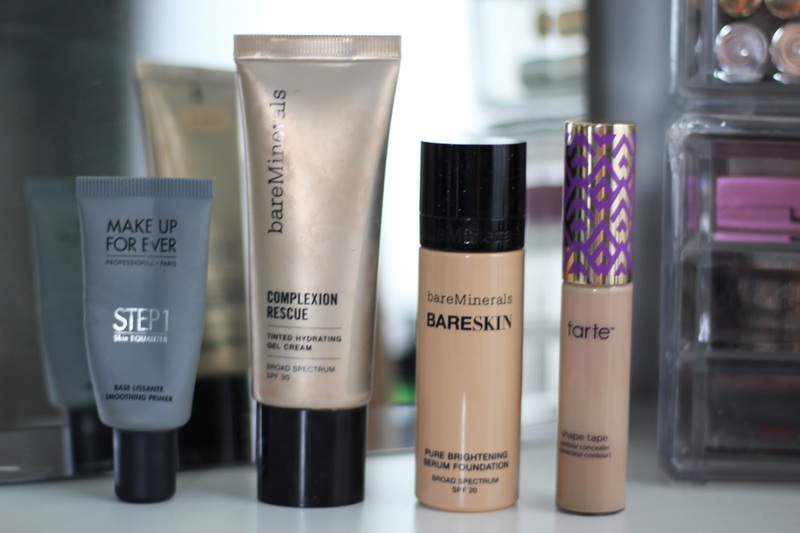 I personally use the Smoothing Primer, but go through the options and pick what's best for your skin type. I've worn this everyday this Summer! When I used to work at bareMinerals, I would wear this every single day under every foundation almost like a primer. Once I stopped working there, I started venturing out and trying other products, but this by far will forever be my favorite. It's a BB/CC & Tinted Moisturizer all in one making it pure perfection. If you have a few problem areas that need a little coverage, I highly recommend this serum foundation. 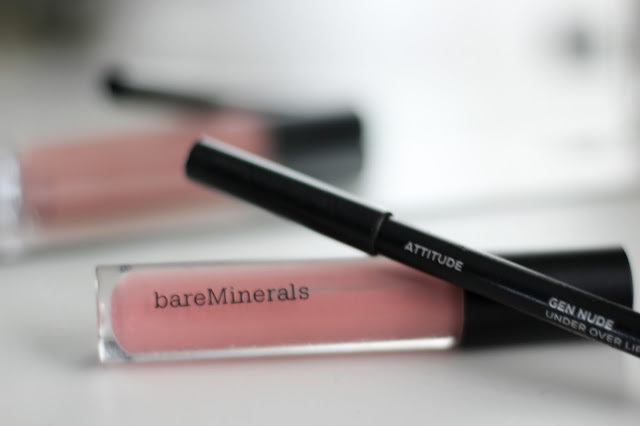 It's another personal ride or die from bareMinerals. It has Vitamin C in it as it is a brightening foundation, so it will help to brighten any blemish marks. It does make me a little glowy by the end of the day (I totally don't mind this) and I have combo skin, so it's not my fav option for oily skin unless you plan to set it again around lunch time. If you are dry to combo, you will love it! I've been using this daily since February, and I promise you it's the best concealer I have ever tried. I first featured it in my Bridal Makeup Essentials post and it'll be my go-to until you guys tell me about another concealer that I so happen to fall in love with more! I talked about this in my Drugstore Beauty Essentials post a couple weeks ago. 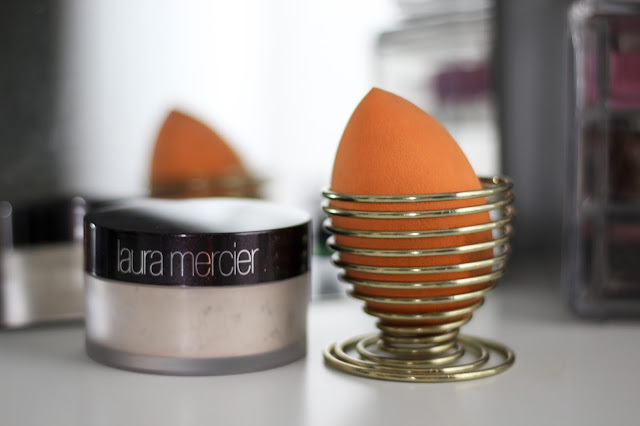 It's my all-time fav dupe to the Beauty Blender! I originally got this Laura Mercier Translucent Setting Powder complimentary of Influenster in Jan/Feb of this year, and it truly has changed my makeup game. I've definitely mentioned it a few times on the blog because I love it that much. My makeup doesn't split or wear off (even on my nose!) throughout the day, even on the hottest of days. I may get a little glowy after 12+ hours, but hey, it's the Summertime, so I don't mind it at all. Want the perfect Summer glow? This is perfect for you. No matter if I'm super fair or I just used self-tanner, it always looks good. I just add an extra layer or two to deepen the color and pigment if I am tan or on day one of my self-tanner. Oh hey, another bareMinerals item! I've been wearing Golden Gate a lot lately. It used to be my go-to color for clients that came in-store, and it's still one of my personal favs. I love this color so much because it looks good on so many skintones. It's truly a universal color. Call me crazy, but this eyeshadow is the best highlighter I have ever used in my life. I mentioned this in my Bridal Makeup Essentials as well, and no matter what, I always add this on top of any highlighter because I'm that extra. I use it for a brow highlight and inner corner highlight as well! This is the only item that I'm including that I personally haven't tried. Jaclyn Hill has mentioned this in her past few videos and I am so intrigued by the fact that it's in an aerosol can and not an actual pump spray. I always get annoying blotches from setting spray all over my face because the pump clogs, so once this comes back in stock, you best bet I'll be ordering it! Has anyone gotten their hands on this?! How is it? Okay, you guys this palette is coming back in stock on Tuesday 7/18 @ 8AM PST, so if you've been dying to get your hands on it, set all of the alarms, take off work, and wait for it, because you need it. I was lucky enough to get it before it sold out in 45 minutes a few weeks ago and I am obsessed. 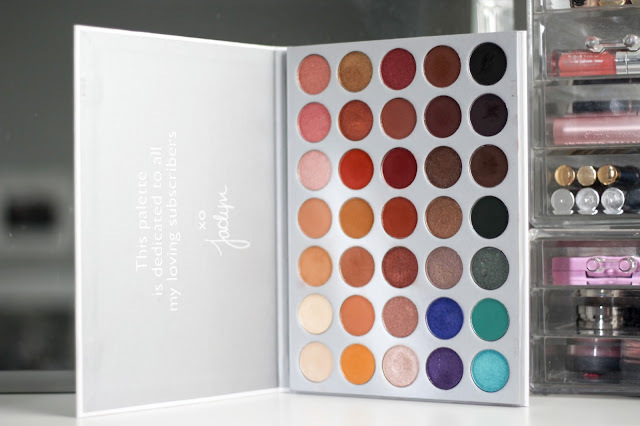 It is truly so pigmented and I have been creating so many gorgeous looks with it. I am hoping to get a few JH Palette eye looks up on the blog in the next week or so. What type of eye looks do you want to see?! I purchased this palette set at the same time that I ordered my JH Palette, and let me tell ya- bomb baby. I don't think that I have loved eyeshadows more. 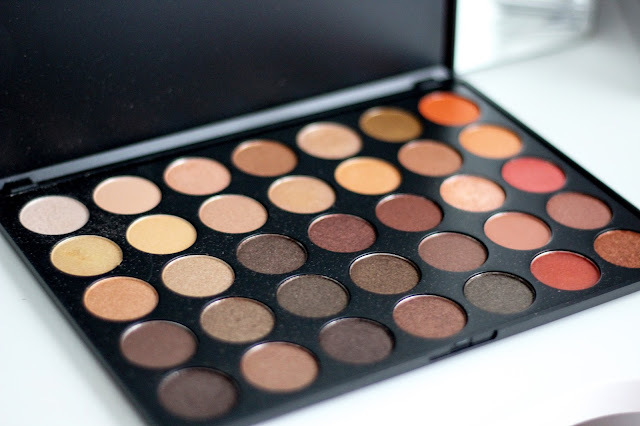 The way that Morphe creates their shadows gives such amazing pigment, they last all day, and are so easy to blend. I also use the lightest shade in the 35OS as an inner corner, brow, and cheekbone highlight. Just make sure you are super light-handed, because honey, it is pigmented. This is a true ride or die brow pencil for me. I will also use this brow pencil to really draw in some detailed hairs in sparse areas. This brow gel is so inexpensive, but it works so well. I've had the same tube for a while now and it's still working just great. As you know, I'm extra, I'm a makeup junkie, and I like falsies without wearing falsies. I love layering the lash primer and Too Faced BTS mascara together for a super voluminous, full looking lash. 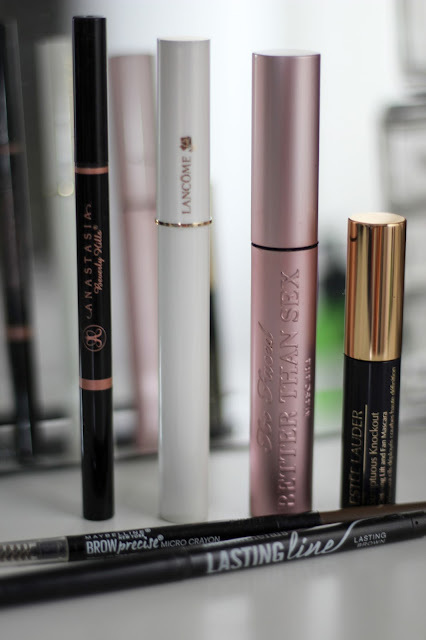 I recently got the Estee Lauder mascara in a goodie bag when I was shopping at Nordstrom and it has the best skinny wand for bottom lash application. I can't go a day without lining my lips. If I don't line my lips, nothing, and I mean nothing will stay on my lips and my lip color will bleed everywhere. These liners are so smooth and creamy, which makes them awesome as liners or a lip color in itself! Last but not least, lipgloss! I've been obsessed with nudes lately for this Summer. I think when I actually get to head to the beach I will switch it up and wear some bold pinks, but for now, I'll stick with pinky nudes. These glosses aren't super sticky and the color lasts for about 4 hours at a time. What are some of your favorite beauty essentials for this Summer?! P.S. 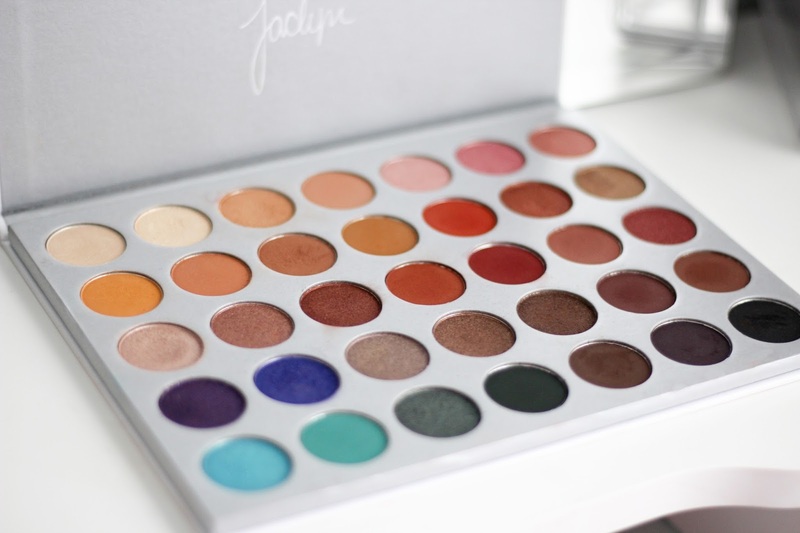 Let me know what eye looks you want to see from the Morphe Jaclyn Hill Palette and the 35OM/35OS. P.P.S. I'm planning on stocking up on some new beauty products this week. What type of products do you have questions about? What are you hoping to see? Have any beauty post ideas? Let me know in the comments.